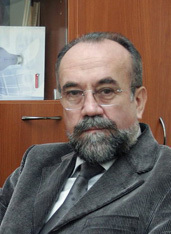 Professor Rakita is a member of: Serbian Marketing Association, Serbian PR Association and Serbian Association of Economists. He held some significant positions at the Faculty of Economics and Belgrade University. Branko Rakita has been publishing in the areas of Cross-border Acquisitions, Brand Management, Emerging Market Multinationals, Business Strategies in Auto Industry and Brand Locations. Professor Rakita teaches the courses on International business and management and International Marketing in the bachelor, master and PhD programs at the Faculty of Economics, Belgrade University. He has taught similar courses at faculties in Banja Luka, Pale and Podgorica. Rakita B, Ivković M, Papović Z. Competitiveness of Independent Retailers in Developing Countries – Case of Serbia, International Conference, School of Economics and Business in Sarajevo, ICES, 2008.